Not Included: Lunch & River Gear. Receive 50% discount on Rental Equipment. 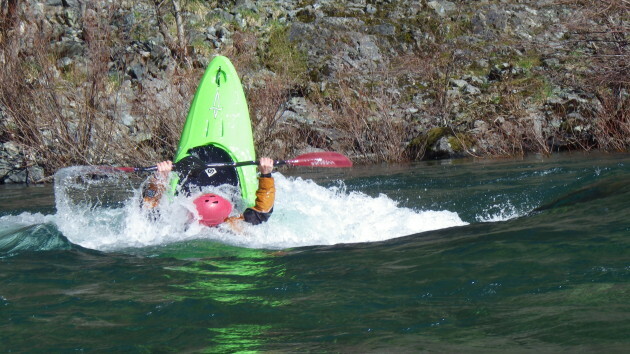 Play is a foundation of the kayaking curriculum at Sundance Kayak School, and it is one of the best ways to let the river teach you things. Our Play the River Clinic is about play boating for river-runners. This class is not about throwing aerial tricks on massive waves, it’s about surfing everything, boofing everything and splatting everything. Make the most of every feature on the river, and be playful regardless of the boat that you are in. Come learn to squirt, cartwheel, and rockspin with Sundance!